Gratitude. Years ago a thoughtful neighbour brought me a clump of peony roots, dug from her colourful garden, divided for another. On a walk, I pause to admire the show of beauty blooming so splendidly in her garden. My eyes covet the peonies, the genus Paeonia, buds wrapped tight, stalks gently holding the shy, unfurling blooms. Some garnet, pink, and as if this isn’t enough beauty to behold, two weeks later, the white flowers show, shining through the dark night. On the cusp of autumn, she placed three small bundles at the doorstep. They patiently wait, still, wrapped in brown paper, tied with twine, for me to discover. Cradling the bundles, I take them to my garden, gently hand them to the earth. Planting the woody clumps into the soil, I wonder at the magic these simple bundles of wood and roots would conjure. Seasons changed, the little woody clumps slept snug underneath an earthen blanket. The following spring the roots anchor, stalks push through the soil’s surface, evolving into small bushes covered with compound, deeply lobed leaves. Three garnet peonies bloom on one of the bushes. Two weeks later, the second bloom opens to reveal the purest white petals. Years later, these small clumps have mothered five beautiful bushes. Gorgeousness. Some believe peony compounds have the power to heal. Inhale their fragrance, touch the soft petals with a finger tip, breathe in as your heartbeat slows under this intoxicating spell. I wonder at such beauty. I wish my peonies would grow like that. I think they’re crying for good soil. But it was a pleasure to read about yours. This is what I love about plants; they have such histories. Well~ my garden is pathetic! The soil is poor, yet these bushes are flourishing. It has taken them seven years to establish a presence! The bush with the white blooms is an odd one; it offers only a few beautiful blooms each season. Their beauty is fleeting and I always feel sad when the petals drop, a beautiful mess, actually! Still, they please me like obedient children -lol! With all that ocean air and sunshine you will succeed with yours. They live in heaven ! Thanks for reading and commenting, anneli! It’s always great to read your writing and hear from you. Lovely. I’m waiting for my peonies to bloom. I think it will happen this weekend. 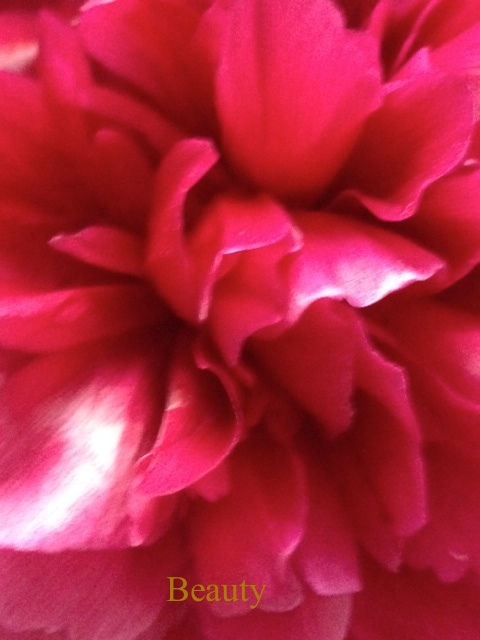 I hope that your peonies soon bloom and when they do you must snip a few to honour your recently published book! So happy for you, Jessica! I’ve written peony poem after peony poem. Nothing is ever good enough for them! I miss them so much, but they don’t grow in this tough climate. I imagine that it would be tough for the delicate peony to adjust to the potentially high temperatures! There must be an adaptation, close to the peony species, that can survive extreme heat! Writing and reading peony poems will have to suffice, my friend! There aren’t any delicate flowers, really, out here. The ones I think of as “Victorian” flowers, like columbines and peonies, nothing. We don’t even have roses here! You know, I am certain that I saw a type of shrub rose that adored the freeways when I was visiting your state. I do know that your state has scented orange blossom trees, a beautiful fragrance! When I catch the scent revealed in a candle or perfume, I tend to purchase the item for the memories! We do have some beautiful flowers, but they are not of the delicate variety. And they tend to be flowering shrubs and trees. We don’t plant bulbs. We do plant geraniums and snapdragons, marigolds and vincas, stuff like that. They will; it can take a few years. Once they establish a presence; you’ll be able to fill vases! Thanks for stopping by and commenting on the post. Good luck with your peonies (just ignore them, they’ll thrive)! Lovely flowers – I love spring with the amazing colors it brings every year! I know, spring’s beauty is like a gift to unwrap and enjoy. This post is more of a poem than anything else. Beautiful writing! Isn’t that the thing about peonies? They seem to realize that their beauty is fleeting. When they finally do bloom, it’s for such a brief moment; when they fall apart, such a beautiful mess!